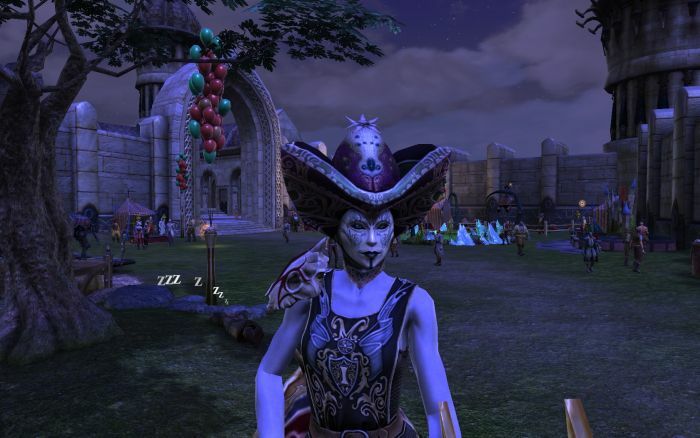 More Carnival Goodies #RiftGame #Rift – Nomadic Gamers, eh! Even though I should be working towards getting on of the four awesome balloon companions available, I couldn’t help but spend my glass beads on this carnival mask. A bit scary, no? I moved all four of my defiant characters to Faeblight yesterday, deciding that I’d much rather be on a heavily populated server. So far, I haven’t regretted the decision to move, nor my decision to come back to the game. There’s a lot to do! A short post today, so as always, happy gaming no matter where you find yourself! Our defiant characters are now on Faeblight following the sad trialing of Shadefallen, a server I much preferred. Our Guardian characters were already on Faeblight. Might see you in Meridian! Hm. SWTOR’s bloom is off for me, and my Rift sub goes up through the beginning of April. I may just log back in. Normally I don’t care about the world events, but this one does sound quite fun. I’m furiously collecting beads (I have 340 right now). There are several things I’d like to get, so for now, bead-hording I will be. I didn’t realize I missed Rift as much as I did. I’m really glad to be back!